A colour wood block printed by George Baxter. Produced before George Baxter started printing using his patented Baxter Process. 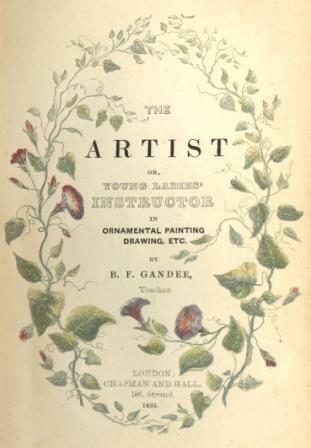 Published as the title-page to the Book published by Chapman & Hall in 1835; The Artist by Gandee. The print measures approx. 12.5 x 8.5cm.